The still popular image of the Virgin of the Light began in 1722 Sicily. 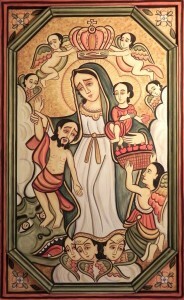 The painting depicts the Virgin holding a man avoiding his falling into the jaws of Leviathan (an evil sea monster from the Old Testament who swallows men’s souls into the Sea of Chaos) thus making her the patroness of fisherman. The Leviathan’s image was censored since 1760 by the Church and replaced by the flames of purgatory, or dark clouds that symbolize sin. 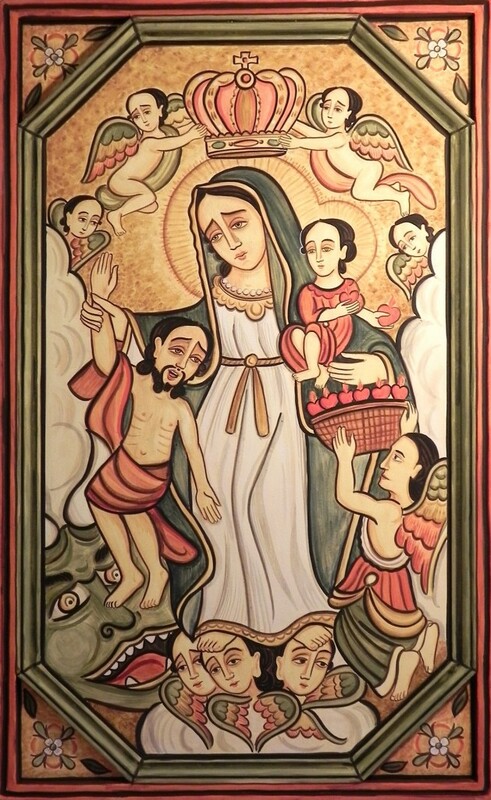 Mary’s other hand holds the Baby Jesus as he chooses fiery hearts from a basket that symbolize the love of God. Mary wears a white robe and blue cloak symbolizing purity and chastity on a background of golden yellow. 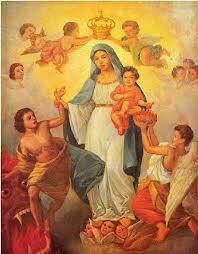 On the head of Mary are angels that crown her as the Queen of Heaven. In 1732 the painting was transferred by the Jesuits to Leon’s Basilica to the Lady of Light. The Jesuits then spread veneration of this image to the Americas. Maria de la Luz (Mary of the Light) continues to be a popular girl’s name in San Miguel and is frequently shortened to Malu. The Wednesday before Pentecost (50 days after Easter when the apostles received the Holy Spirit) is the feast day of Nuestra Senora de La Luz (Our Lady of the Light). The neighborhood behind the mall is named in her honor and sponsors a namesake church currently being expanded. The week long celebrations include dances, rides, indigenous celebrations, food and music in addition to devotional rosaries and masses. 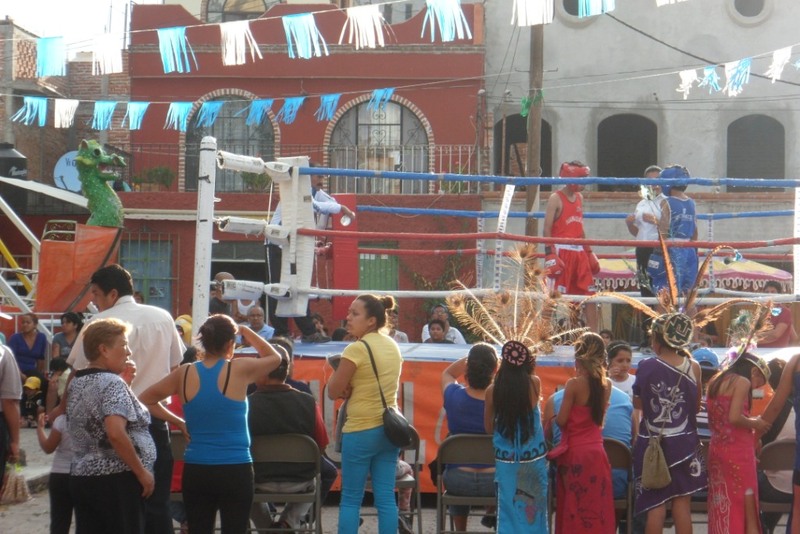 Calmer and smaller than the recent Valle de Maiz celebrations, Nuestra Senora de La Luz is a less intense way enjoy San Miguel’s unique mixtures of a pagan past and Catholic dogma in a modern society. 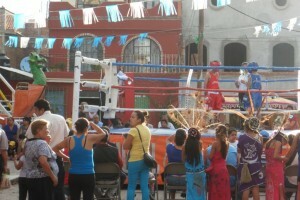 The stars you see in various processions are in honor of Maria de la Luz. The tradition came from Salvatierra in the 1920’s when recently laid off factory worker found jobs in SMA.